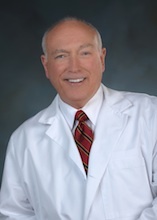 Robert Sanford, DMD is an accomplished and highly experienced cosmetic dentist. He provides patients with the latest cosmetic dentistry and full mouth rehabilitation. Patients can have whiter teeth and the perfect smile within a matter of hours or one or two appointments. Permanent, beautiful, white teeth that look and feel natural is Dr. Sanford's goal for each patients. The office is a comfortable state-of-the-art private practice located in Allentown. Using advanced technologies and applying the latest cosmetic techniques, Dr. Sanford can straighten, reshape, and whiten teeth to achieve elegantly beautiful results that literally leave his patients smiling. More than just beautiful smiles, Dr. Sanford is interested in promoting the long-term health benefits of dentistry. Dr. Sanford is a member of the American Academy of Oral Systemic Health. He is certified by the Academy of Laser Dentistry. Dr. Sanford and staff have completed comprehensive training in treatment of Advanced Periodontal Therapy with the Centers for Dental Medicine. Now you can have a beautiful smile transformation...and you can enjoy you new smile for a longer, healthier lifetime of smiles.